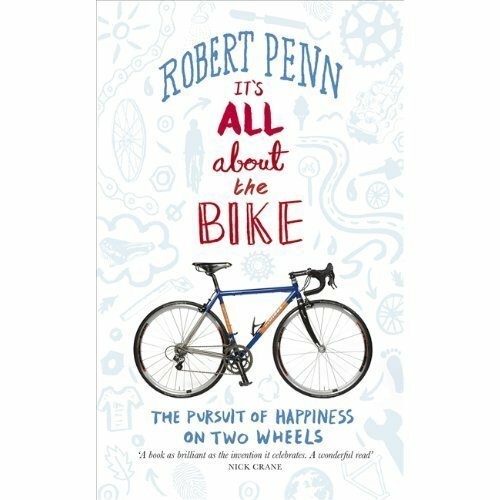 The second of my non fiction books is – It’s All About the Bike by Rob Penn. Most of us who ride will, I’m sure, sometimes dream of owning our own “dream bike” which will of course be many different things to many different people. Rob has such a dream and sets out to obtain it. Now this is not some dull journey to buy bits for a bike (although of course he does buy the bits for his bike), instead it is a journey into both the social and political history associated with the development of the bike and also a look at the value and skill of craftspeople. Rob looks at for example how the bike helped to democratise society through the breaking down of class and gender barriers, how it mobilised the working class and expanded the gene pool, how it played a significant role in the emancipation of women and the suffragette movement as well as many other fascinating links – did you know that the Wright brothers were both bike mechanics and used this technology in their ideas for the first propelled flight ? Running alongside this are the actually parts that Rob uses to build the bike and a look at artisan craftspeople who place a value on the quality of the product that they produce which runs counter to the throwaway culture that some would argue we live in currently. What is gratifying to know, from my perspective, is that these firms are beginning to thrive again as more people look for stuff that is well made and will last. It’s a great read (although slightly more geeky than the Millar book) and I’m now dreaming of my dream bike and could I make it a reality. Get yourself a cup of tea and listen to the man himself at the Do Lectures (of which I’ll be blogging about in more detail in the future).